Well, I woke up to a good snow on the ground, about 3 to 4 in. 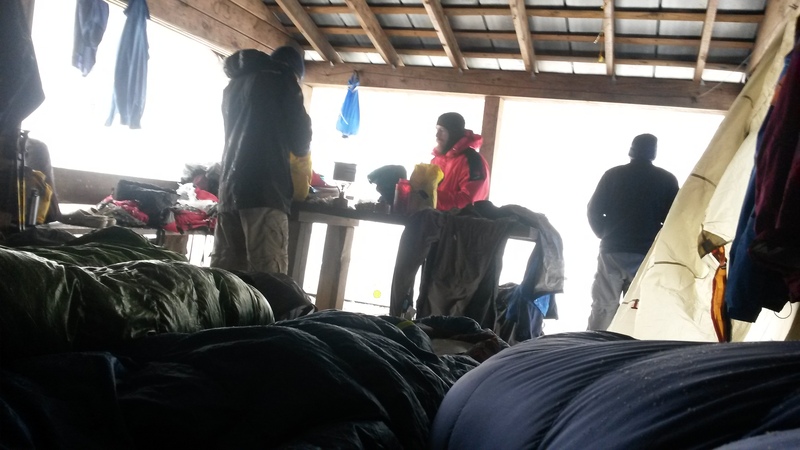 We hiked all day in the snow and now tucked in the Wesser Bald shelter with 7 hikers… like sardines, 5 would be snug. Myself (Tank), Frankie the sleeper, Jess, Ace (ace), Whisperer, FireWalker, and Mac. 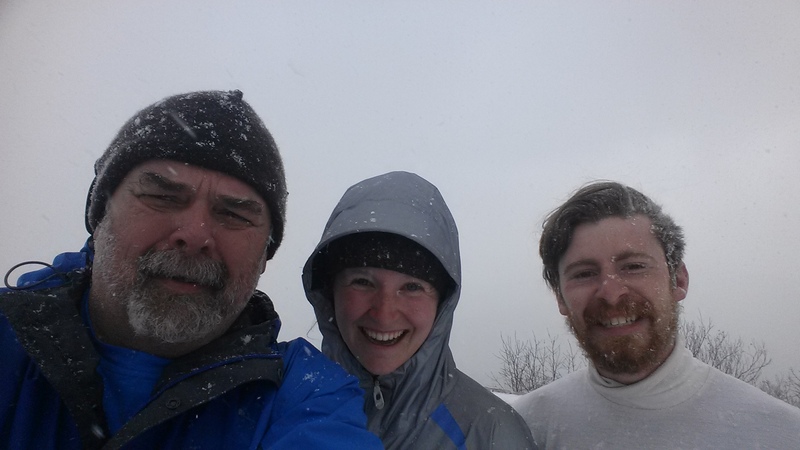 All awesome hikers and good people, very kind. Nantahala Outdoor Center (NOC) tomorrow for a day out of this cold. The snow has all my clothes damp and it is hard to get warm. Here is a couple pics for the day… I’m so cold I can’t text anymore. Think warm thoughts chris! For example, picture me with my feet up infront of the new see thru fireplace. You’re doing great man…..strike that….YOU ARE THE MAN! Howdy. My name is Diana. I am friends with Brian & Carley and Carley’s parents. This last picture sends chills through my bones. I am sitting in my office. It is 73 in here and I’m chilled. Ha! I’m a little whimpy too. Your blog has been interesting to follow. I will stay tuned and I will also keep you and your friends in my prayers. I’d feel a lot more compassion for you if those two would at least pretend to be miserable. Chris is just trying to make it appear tough…he actually has no pants on. Wow Chris, tough going. Great progress so far, keep it up. Vicky keeps talking about hiking, so please keep the miserable posts coming!